Ok so maybe this isn’t exactly the type of thing you might think to make when wanting to lose a few pounds, but some things in life just have to be done. You feel me? 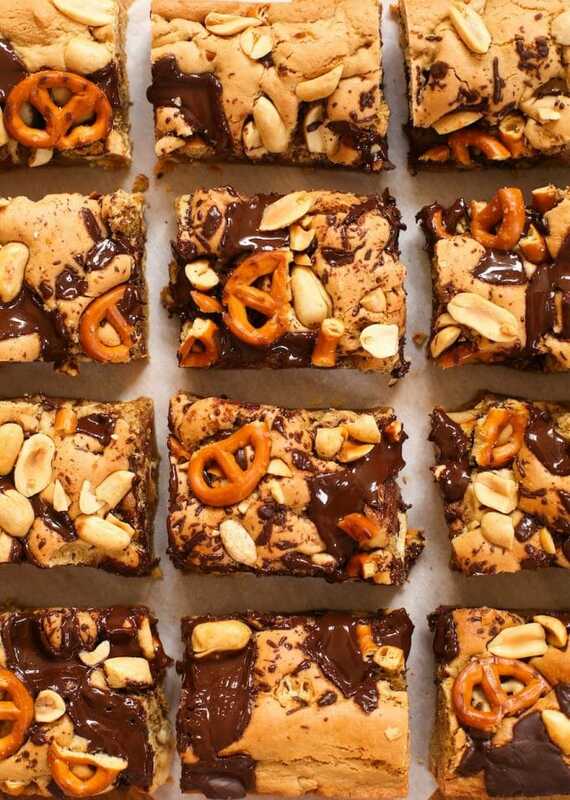 Thankfully we’ve had quite a lot of help from friends, family and neighbours in eating our way through these cookie bars because they are honestly just too delicious. Baked goods like this are best enjoyed when shared anyway. 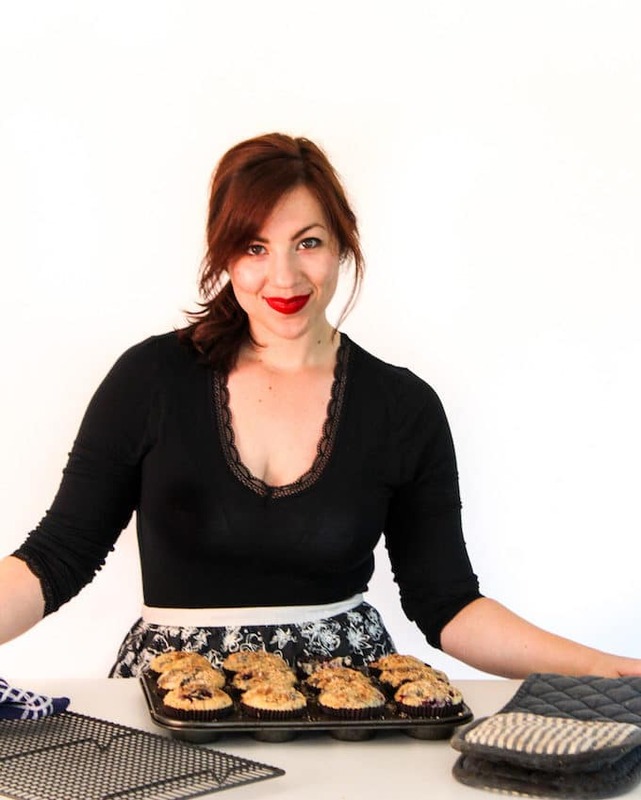 Today I’m partnering with Collective Bias in creating a pretzel-tastic recipe to share for World Pretzel Day (this Friday). So naturally, a sweet & salty gluten free cookie bar was in order. Holla! 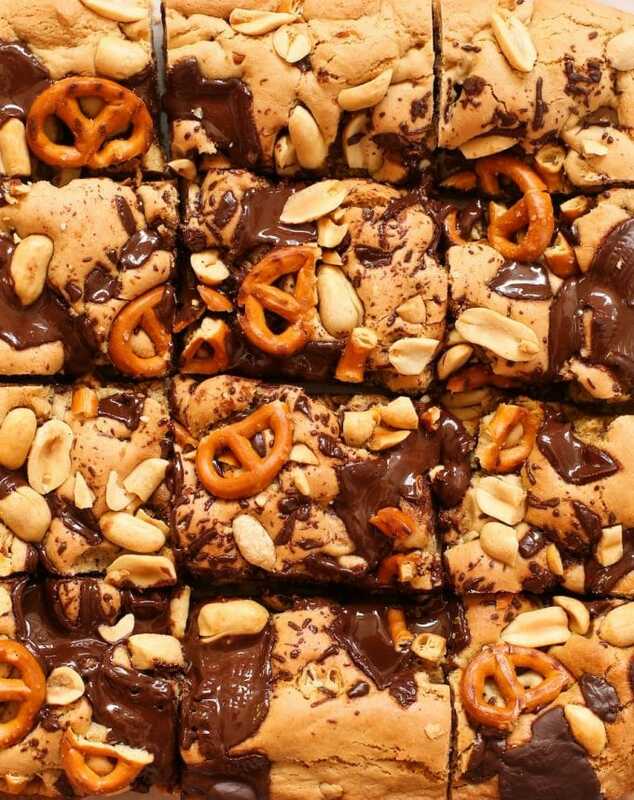 There’s just something so perfect about the combination of salty, crunchy pretzels mixed in with anything chocolate. It’s a sweet & salty marriage of tastiness and I’m all about it. 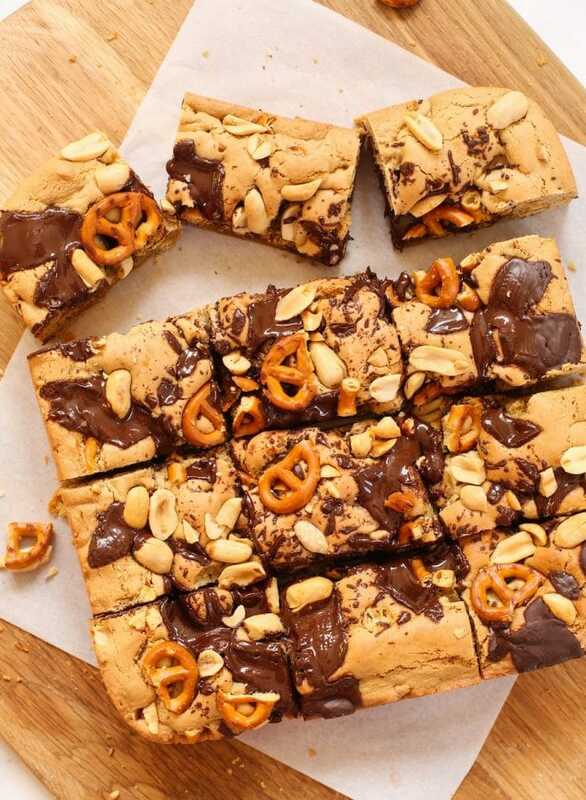 To make these pretzel filled cookie bars I hit up the Free From aisle at my local Sainsbury’s in search of the Schar’s Gluten Free Pretzels. 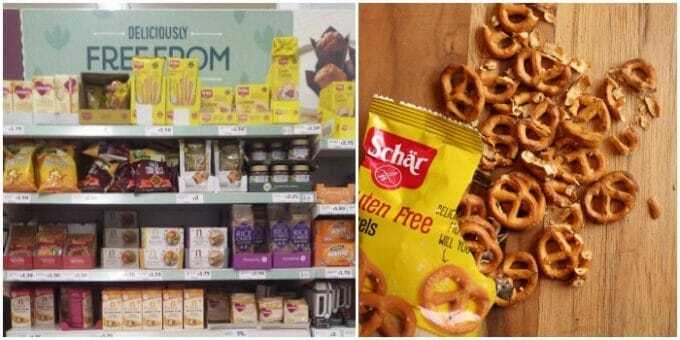 Not only are Schar’s Pretzels gluten free, but they’re all free from eggs, dairy and other animal products which makes them vegan friendly as well. While I do use eggs in these bars I’ve included instructions for how to substitute the eggs for aquafaba for an egg free, vegan version. Aquafaba, if you’re unfamiliar, is the starchy water found in cans of chickpeas (or other white beans). It behaves similarly to egg whites in a lot of recipes which helps to bind and add stability to a recipe in a similar way that eggs do. Either way, eggs or no eggs, I hope you love these as much as we all have here! Honestly though – grab a friend, make these together, and then pass them out to everyone you know! You, your friends, and your waistline will thank you for it! 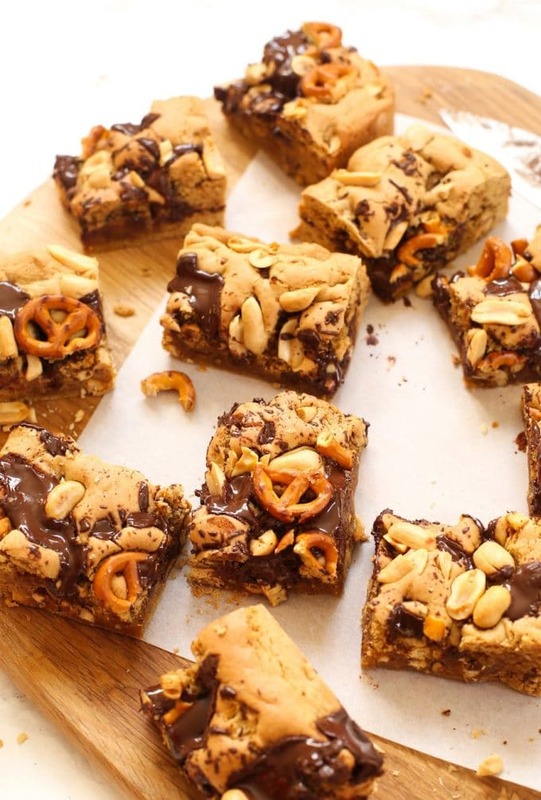 Don’t forget to #asaucykitchen on instagram if you try these Peanut Butter Pretzel Gluten Free Cookie Bars! I love seeing what you make with! You can also post your pictures to our facebook page! Preheat the oven to 350°F/180°C. Line or grease the sides and bottom of a square 9inch baking tin. Set aside. In a large mixing bowl, using a stand mixer or an electric hand held mixer mix together the peanut butter and sugar until combined. Add the vanilla extract and both eggs and continue mixing until smooth. Add the flour, baking soda and salt and slowly mix until combined. Stir in 3/4 of the chopped pretzels and peanuts. Transfer the dough to the greased/lined baking tin and press the dough into the bottom and sides of the pan. Press and smooth into an even layer. Scatter the chopped chocolate over the top and press into the dough. Take the remaining pretzels and peanuts and sprinkle over the top and press into the dough. Bake in the oven for 25-30 minutes or until the sides are lightly brown and it's cooked in the centre. To test for doneness insert a tooth pick into the centre of the bars - if it comes out clean it's done. Allow the bars to cool in the pan for about an before removing. Once cooled, cut into squares and enjoy. Store in an airtight container for up to a week and enjoy. In a large mixing bowl, using a stand mixer or an electric hand held mixer mix add 6 tablespoons aquafaba (chickpea brine) to the bowl and begin whipping until loose peaks form. Then add sugar in a little at a time and beat until the texture is glossy and semi-firm peaks form. Add the peanut butter and mix well until combined. Then add the vanilla extract and 1/4 cup (60 ml) dairy free milk. From this point on your can complete the rest of the recipe as written above. I didn’t know much about Aquafaba and it is always good to know. I’m not a huge fan of pretzels, but dang it if this recipe wouldn’t convert me!